Nayarit shopping centers online – huge database of shopping areas in Nayarit (Mexico). Information about shopping centers, malls, factory outlet locations in Nayarit, Mexico. Select Nayarit shopping areas from the list. 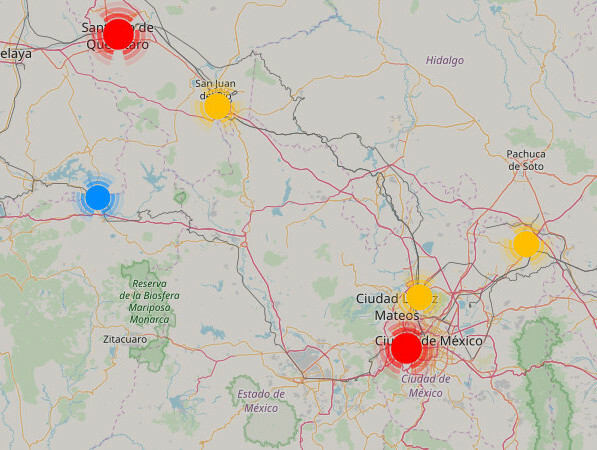 All Nayarit shopping centers, malls are also displayed on the map. Ave. Insurgentes No. 872 Tepic, Nayarit. Zaragoza No 152 Norte esquina con General Rocha, Zona Centro CP. 63700 Compostela, Nayarit. Carretera Tepic-Agua Milpa No 1010 Colonia Jesús García CP. 63506 Tepic, Nayarit. Ave. México No. 793 esq. con Tacubaya Col. San José CP. 63030 Tepic, Nayarit. Ave. Universidad y Ave. Insurgentes Frac.Ciudad del Valle CP. 63170 Tepic, Nay.